Every cool girl is half boy... at least that's what they say; and who am I to disagree?! Boyish can be found everywhere, in our attitude, in our look, in our thinking, in every single detail of ourselves. Being boyish doesn't mean you need to loose your feminity. 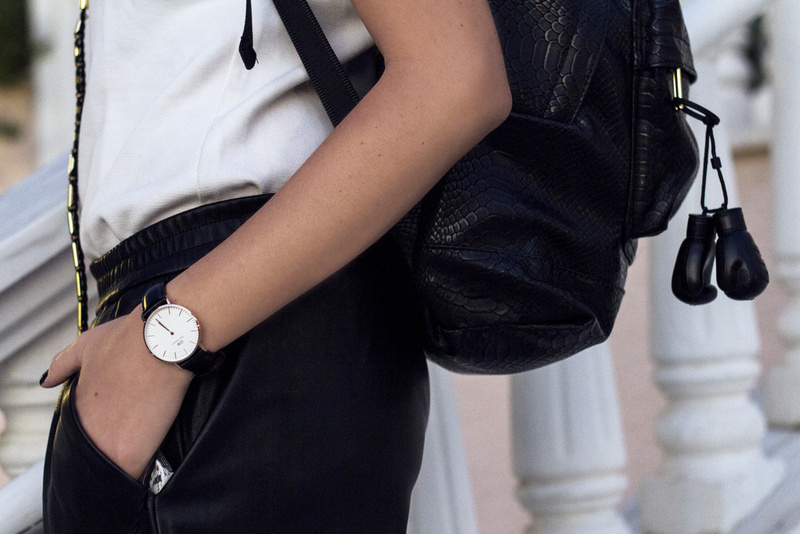 Combine a boyish outfit with girly accessories for real coolness. I'm currently in love with my minimal Daniel Wellington watch wearing it non stop. Get your own here with 15% off by using the code "surfaddictfashionista" until 15 jan 2016.